The name being used is ‘appcessories’ – hardware accessories that are primarily used with apps on smartphones and tablets. There are attachable zooms for smartphone cameras, Bluetooth remote control cars and now the latest phase is more tactile and ergonomic controllers for iPhone games. Anyone who has ever caught public transport can testify that Angry Birds, Cut The Rope and Where’s My Water, among myriad others, are excellent ways to relieve the tedium of traffic and the multitude of stops before the ‘all stations’ reaches your destinations. With Logitech’s new appcessory, bored time wasters and serious gamers alike can more intensely immerse themselves in iPhone flights of fancy. And people using this appcessory on the bus will not at all look ridiculous. 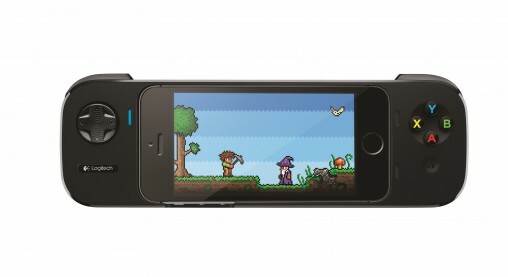 We designed this controller to deliver a true console-gaming experience on an iOS 7 mobile device. With gaming so pervasive on the mobile platform – our research shows that 87 per cent of iPhone and iPod touch users play games on their device – it’s time to revolutionize the experience. Rabbani gives no evidence for his 87 per cent claim, though on face value it does appear accurate, but it should be noted that the most popular games may not be compatible with the PowerShell. In addition to providing a console-esque experience on the iPhone platform, this controller also acts as a back-up battery. The PowerShell is compatible with the iPhone 5 and 5s, and fifth generation iPods touch, provided they are running iOS 7. The Logitech PowerShell is RRP $129.